Flour There are 34 products. 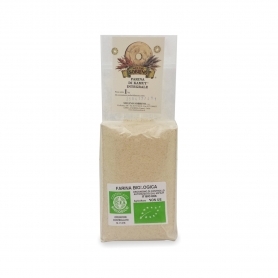 Excellent for cooking the typical Genovese porridge and panissa (or panella in Sicilian). 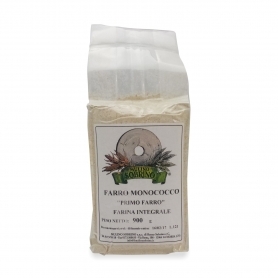 Produced by organic farming, peeled and minced stone. 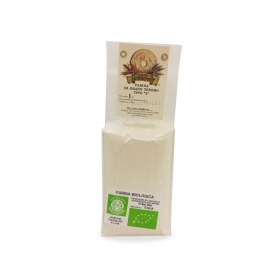 Flour type 0 strength W300 / 320 P / L 0.8, great for long-leavening and baking products. 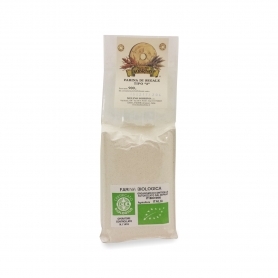 Organic flour. Produced by organic farming, stone-ground. 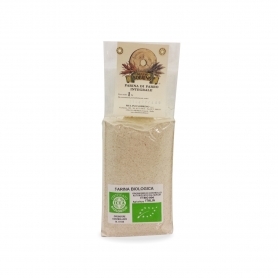 Produced by organic farming, using the most precious varieties of soft wheat Langa. 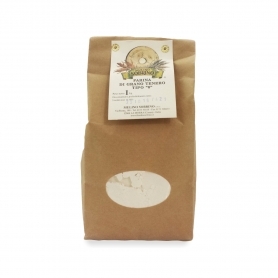 Produced by organic farming, whole seeds, produced by passing the sieve (strainer) whole wheat flour. 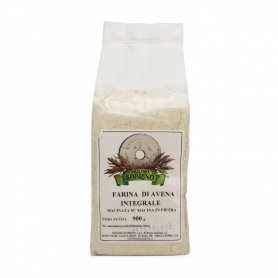 Produced by organic farming, ground on stone and passanta to "sieve", the sieve. Produced by organic farming, ground by stone. 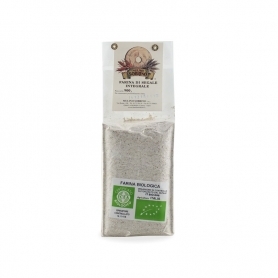 of einkorn spelled flour, the oldest cereal, the first domesticated by man. 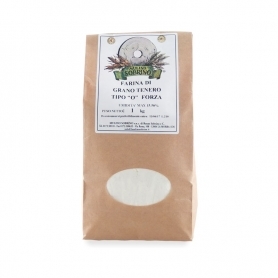 Polenta Taragna - full of corn flour, 500 gr. 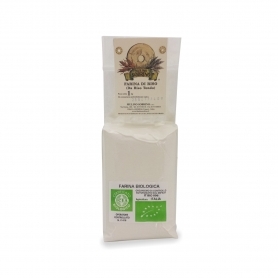 A great classic of the Valtellina from "tan" with butter and cheese. 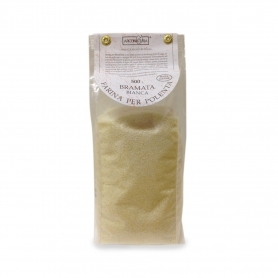 Polenta Red Bramata - Corn flour, 500 gr. Excellent stuffed with streamers cheeses (fontina cheese or parmesan cheese) or with gorgonzola. 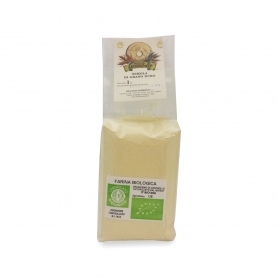 Polenta Bramata White - Corn flour, 500 gr. 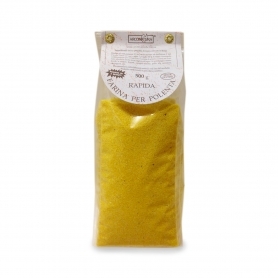 Specialties used particularly in the northeast to accompany fish dishes. 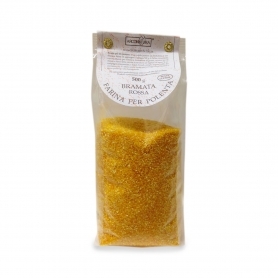 Polenta Quick - Corn flour, 500 gr. 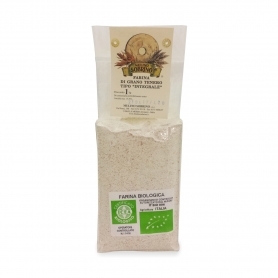 Polenta Taragna instantaneous - Corn flour and buckwheat, 500 gr. 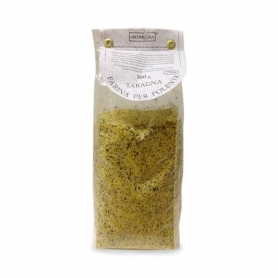 A great classic of the Valtellina to "tan" with butter and cheese. Quick preparation, ready in 5 minutes!